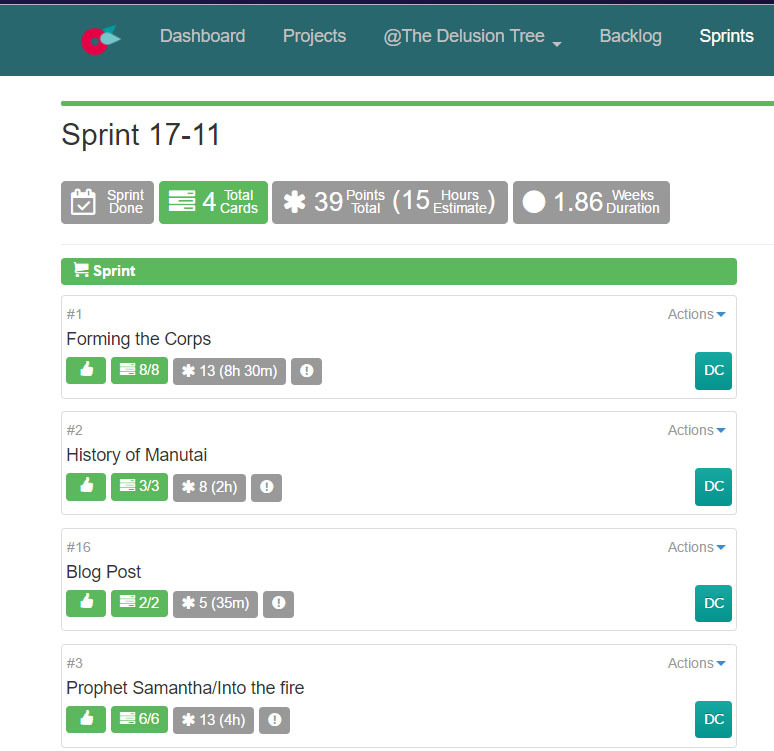 The Delusion Tree: First Sprint Results - I nailed it! I finished my first sprint as an Agile Writer yesterday. I completed 39 points, and I'm pretty sure it took more than 15 hours. As with any process, there will be constant refinement with regards to how much I can do in a sprint, and how to assign points to the various tasks. But one thing I know for certain: I worked a lot harder on my writing this sprint than I have in a while, and I felt like that work was either more productive or less futile (depending on my state of mind. 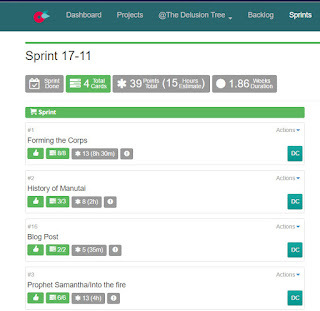 And here is a screen shot of my coming sprint. there are a lot more tasks, plus some reading and research work thrown in as well. This sprint will be good for 46 points, which means it will be a nice stretch.